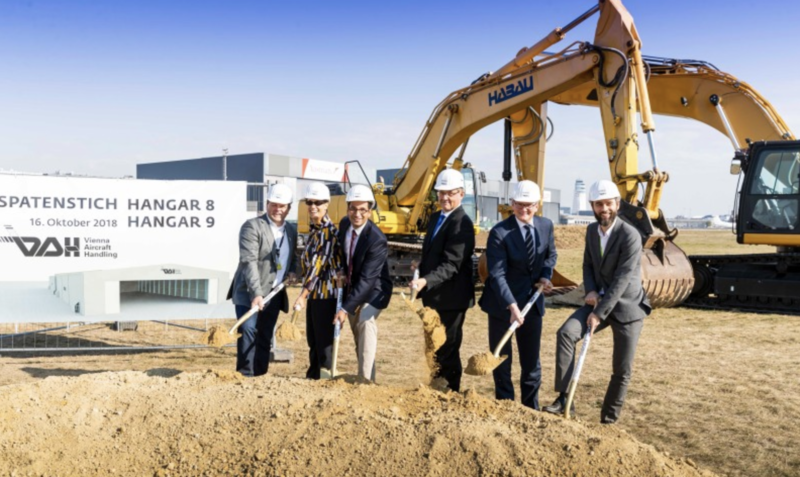 Vienna International Airport is constructing two hangars for general aviation customers for its subsidiary Vienna Aircraft Handling (VAH), with an expected first completion date of autumn 2019. After construction is complete, VAH will have four large hangars with a total area of approximately 16,000m². This expansion puts the general aviation offering of Vienna among the top 10 business aviation airports in Europe. Hangars 8 and 9 will have the capability to house aircraft sized up to the business jet type Bombardier Global. The General Aviation Center of the VAH at Vienna Airport is just 30 minutes from Vienna and is in operation 24/7. The center has passenger lounges, crew restrooms, a restaurant and sufficient parking right next to the terminal building. VAH operates the General Aviation Center and has been a FBO at Vienna Airport for more than 20 years.